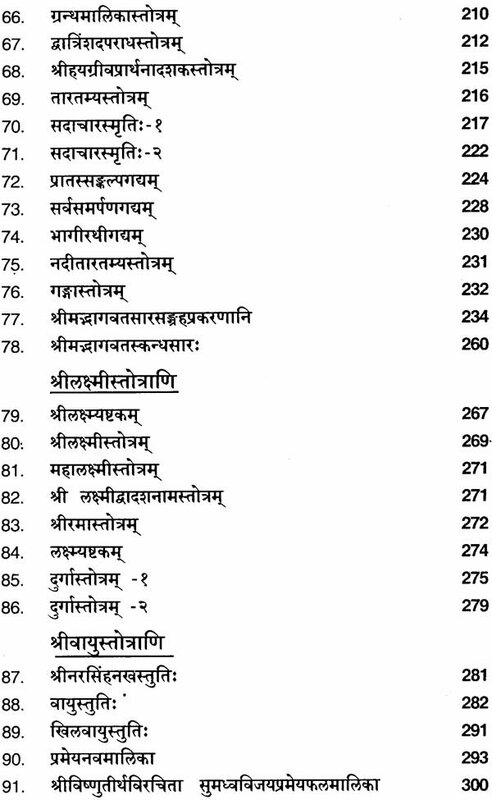 Stotraratnamala is a compilation of 138 stotras. Stotras have both religious and poetic appeal. An important aspect of religion is offering prayers to Supreme God. 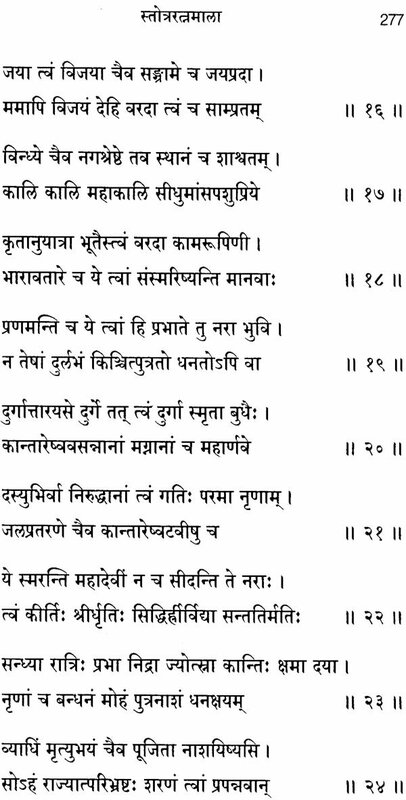 This is done by reciting the Stotras. In this compilation, primarily the stotras of Supreme God Visnu and his incarnations are included. 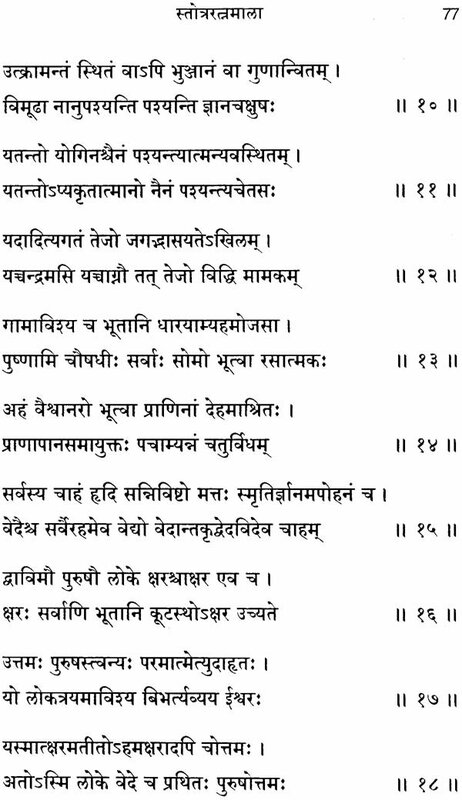 Among the poets whose stotras included here, Sri Vadirajatirtha's stotras are largest. 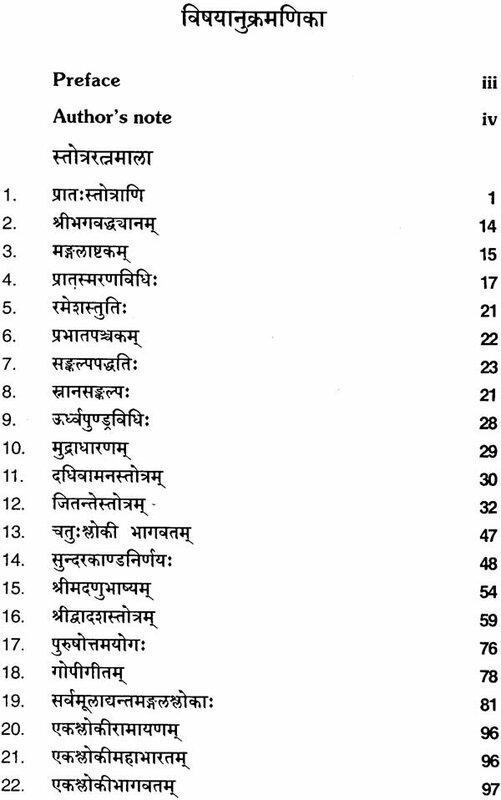 The sweet sound and the dignified sense of these stotras touch the heart of the persons who offer prayers by chanting these stotras. There are number of collection of stotras already published. 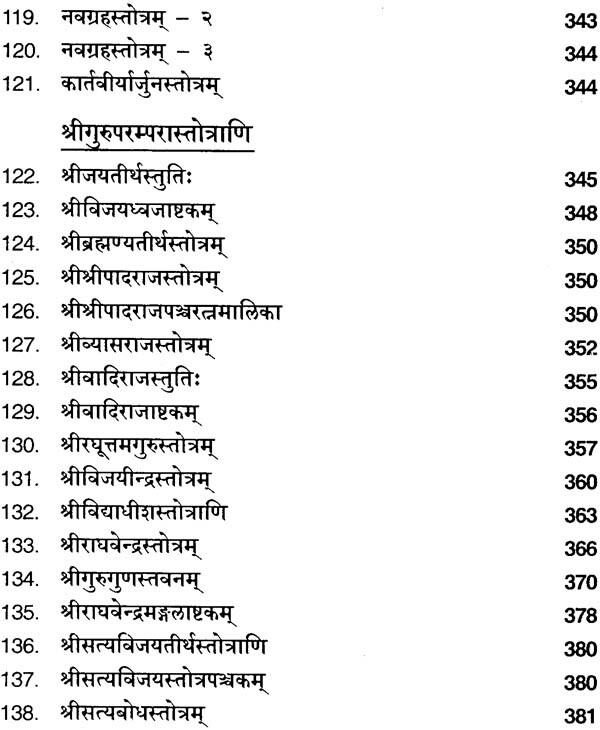 The unique nature of present collection is that the stotras are systematically arranged starting from the stotras of Supreme God and other dieties and saints. Sri S.R. 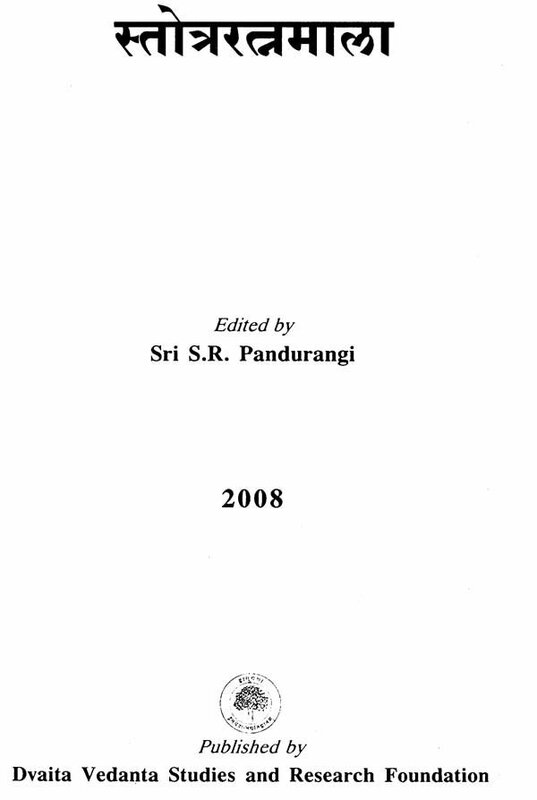 Pandurangi has edited this work. 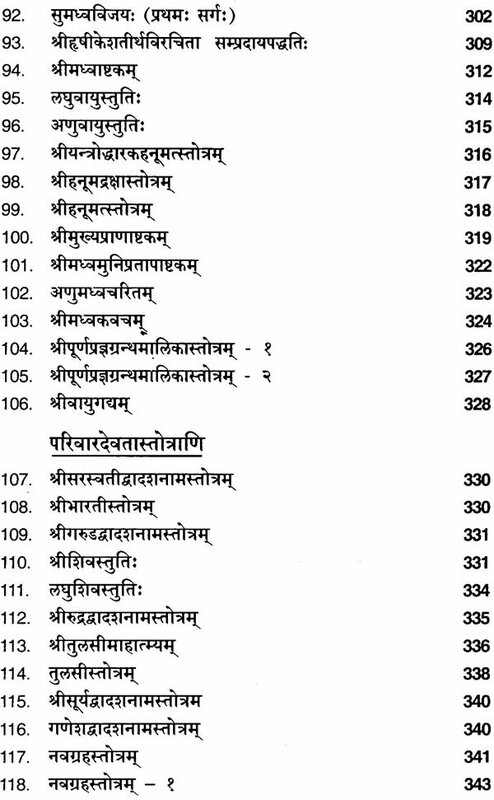 He has taken great pains to edit and compile the stotras in the systematic way and to avoid printing errors. We record our appreciation of his co-operation. We thank him. It is hoped that this volume will be received with due appreciation. We also thank M/s. Vagartha Printers for neat printing and good get-up. 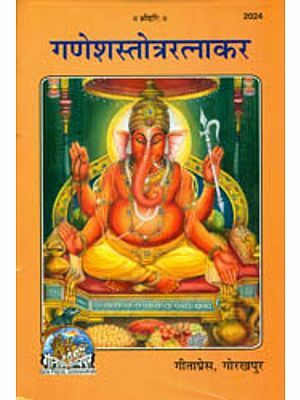 The present publication स्तोत्ररत्नमाला is a collection of stotras of Supreme God Visnu and his incarnations and parivara devatas and galaxy of great saints. 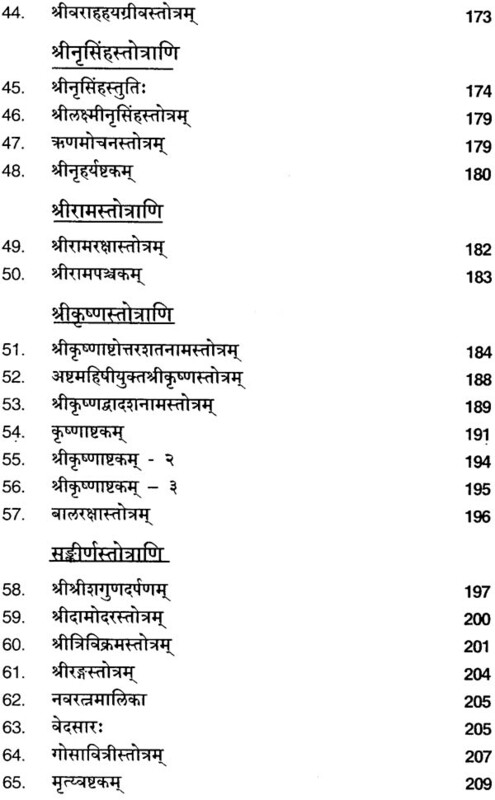 Recitation and understanding the meaning of these stotras would mould our mind, shape our spirit and perfect our personality. It is one of the powerful instrument to remove our ill thoughts and to achieve grace of lord Hari-Vayu Gurus. 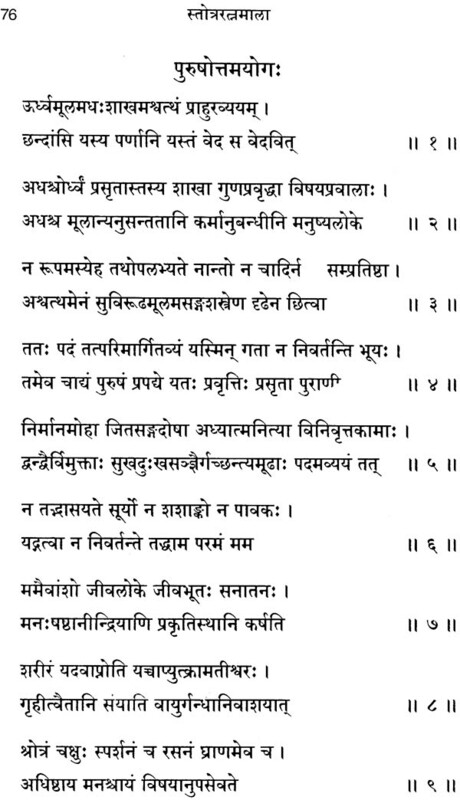 Chanting of stotras acts as a bridge परम्परया to attain permanent bliss. Chanting of prayers supplies physical and spiritual energy. They enrich our personality and expand our vision. Prayers influence all our actions with good will. No. 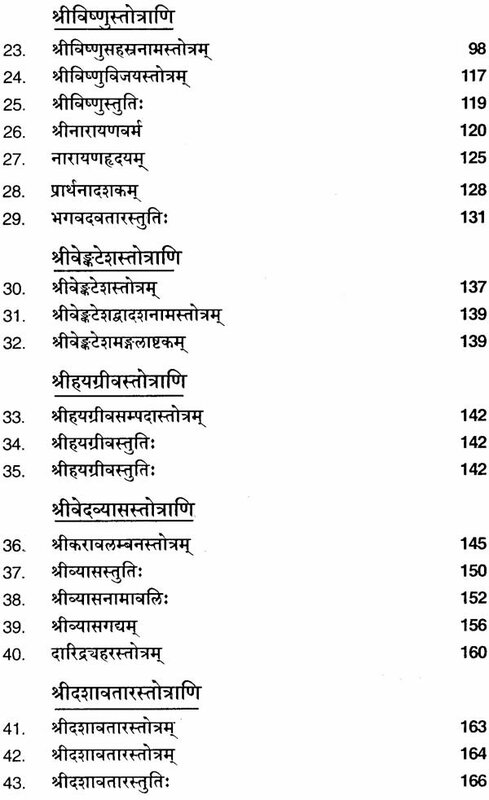 of books have been published on collection of stotras. Following books reffered in editing स्तोत्ररत्नमाला. I offer my respectful pranams to Sri 1008 Sri Satyatma thirtha Swamiji of Uttaradimatha for his blessings and encouragement. I owe my deepest gratitude to Vidwan Dr. R.G. Malagi, Retd. Deputy Director, ORI, Mysore and Vidwan Anandatirthachar Malagi who have taken great pains in carrying out the corrections of this publication and for their valuable guidence. I offer respectful pranamas to Prof. K.T. Pandurangi, Chairman and Hon. Director of DVSR Foundation, for entrusting this work to me and for his valuable guidence and suggestions. 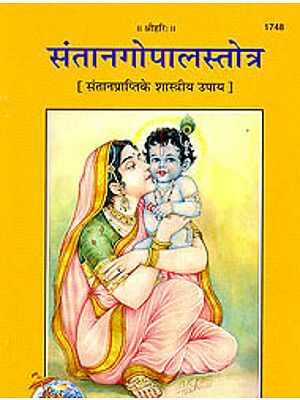 I offer this book to my beloved parents without whose blessings would not have been completed. I am ever grateful to my parents.